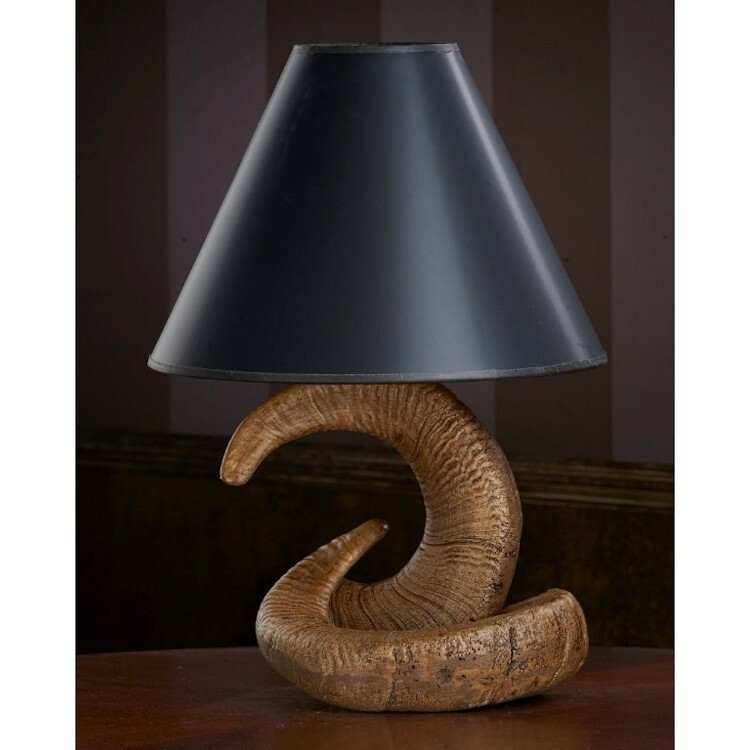 The Faux Rocky Mountain Ram Table Lamp is fashioned from two ram horns. The realistic synthetic horns are hand stained and painted to create a realistic look. This lamp is covered with a sleek black shade, perfectly matched to compliment the colors and look of the base.